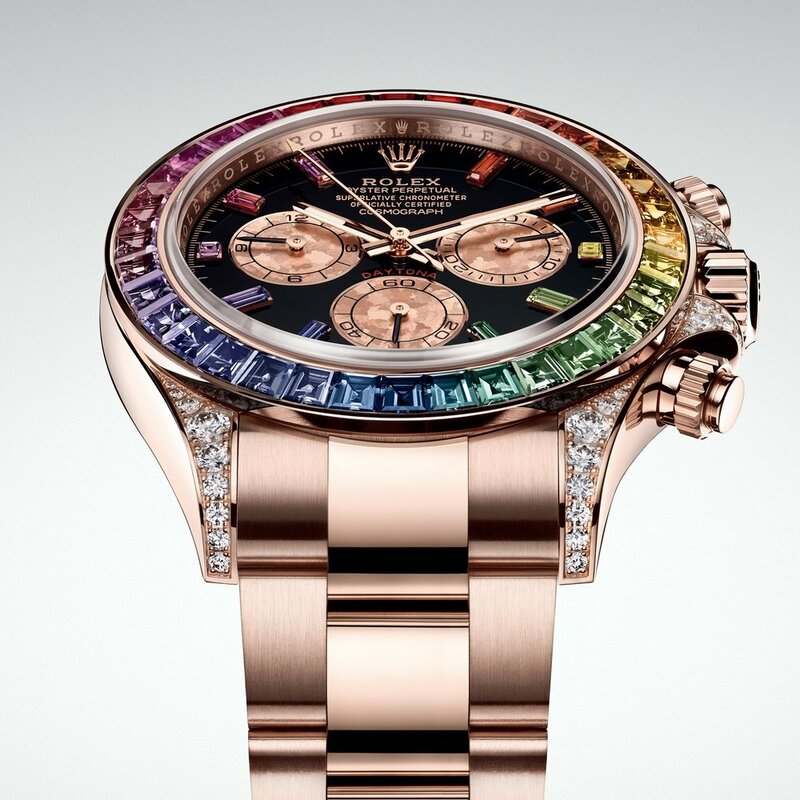 I think it is safe to say that walking around with watch that has a rainbow bezel isn't what you would call practical, but regardless of its practicality, the Rolex Rainbow Daytona watch has become one of the most sought-after watches from the Rolex family. Previously released in yellow gold and white gold, Rolex just recently announced that the watch will be getting a paint job in a beautiful everose gold. The Rainbow Daytona typically has very limited production runs and I'm sure that will definitely be the case with this model as well. Most Rolex retailers might receive just one and it will most likely already be reserved for a celebrity client or a serious watch collector. 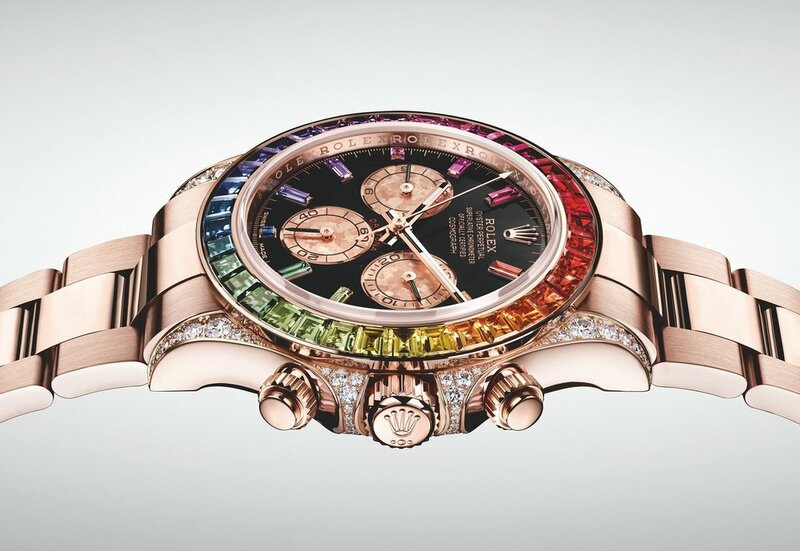 According to Hodinkee, one of the best watch resources in the world, they expect the Everose Gold Rainbow Daytona to retail around the same price as the white gold version which was approximately $86,000 USD. A price to match the artisanal diamond and stone inlay on one of Rolex's most iconic case shapes. 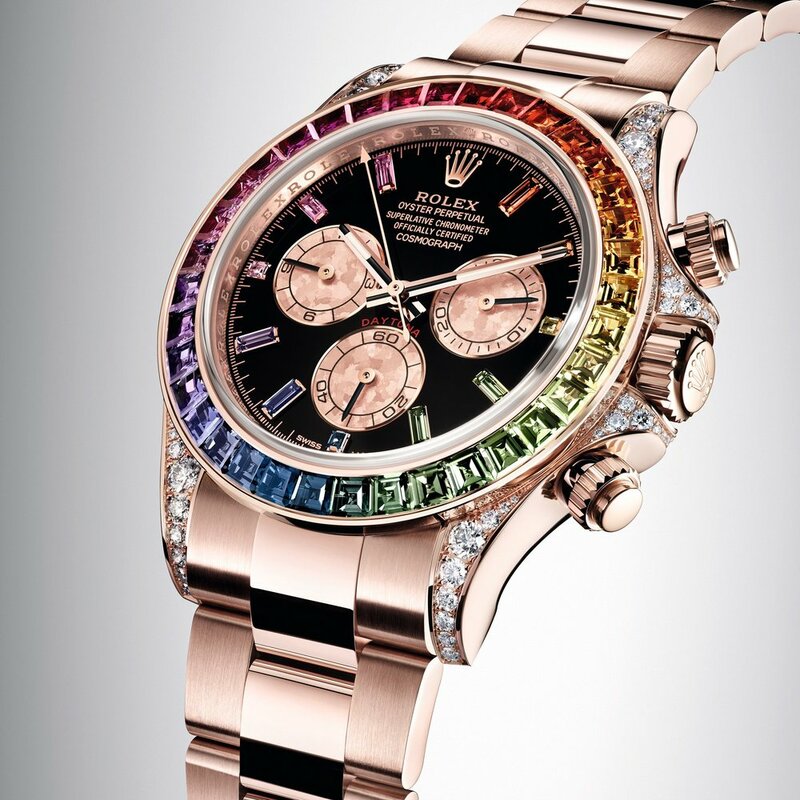 Despite its high retail price, the Rainbow Daytona will not be a watch that will be collecting dust in a glass case, but rather selling out almost instantly. For more on luxury watches be sure to check out our other watch related articles here.